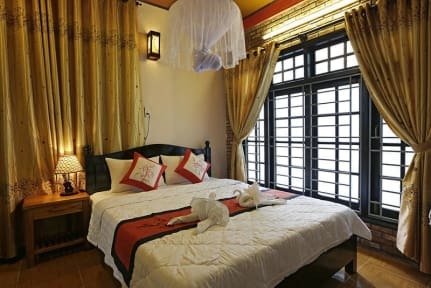 Located in Hoi An, Countryside Moon Homestay offers elegant and comfortable accommodation with free WiFi access throughout the property. Operating a 24-hour front desk, it features a garden restaurant and common lounge area. 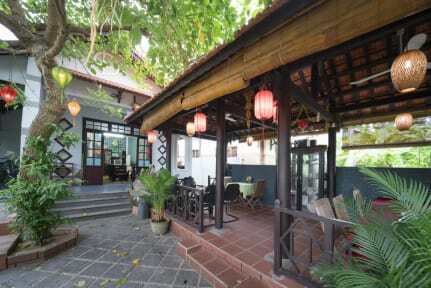 Countryside moon homestay has 2 room type, included: family rooms and double rooms which designed modernly with warmly space and spacious garden view. When you come to countryside moon homestay, you will feel friendly welcome, experience the armosphere of two generation vietnamese's family, find out the daily activities, the traditional worship rites, tet holiday or the national holiday. The best services along with the professional staff, we sure that you will have a unforgettable in countryside moon homestay. Fitted with tiled flooring, air-conditioned rooms include a desk, wardrobe, a refrigerator, minibar and a flat-screen TV with cable channels. The en suite bathroom comes with shower, a hairdryer, slippers and free toiletries.